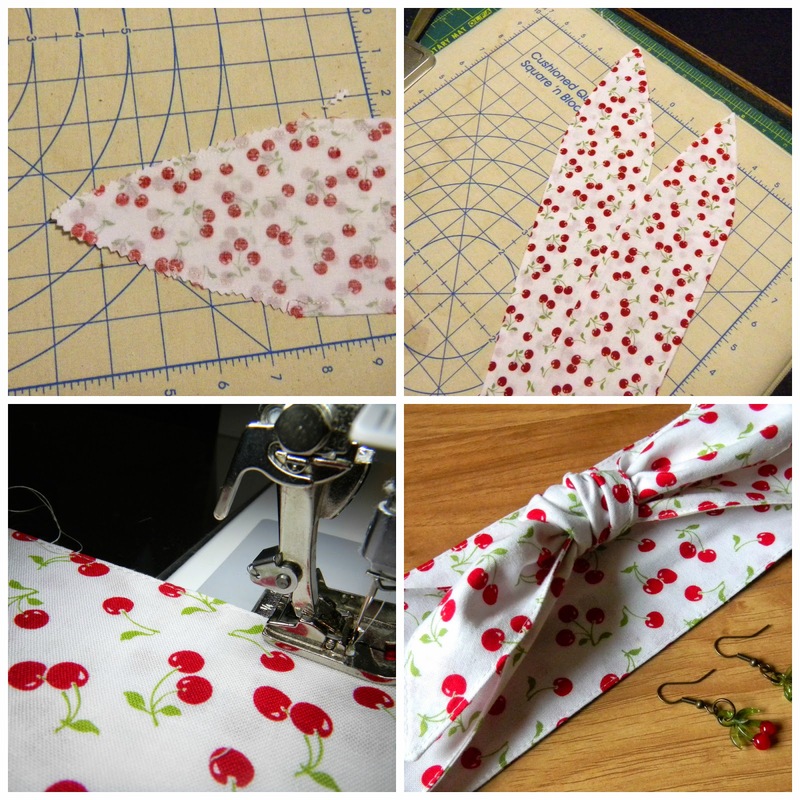 I recently bought this cherry fabric with nothing special in mind, I just thought it would be a fun fabric to have in my stash. I decided to try a head wrap with summer coming I like to wear my hair up when it is hot. Which I am hoping for some warm weather soon. You will need around 1/4 yard of fabric. 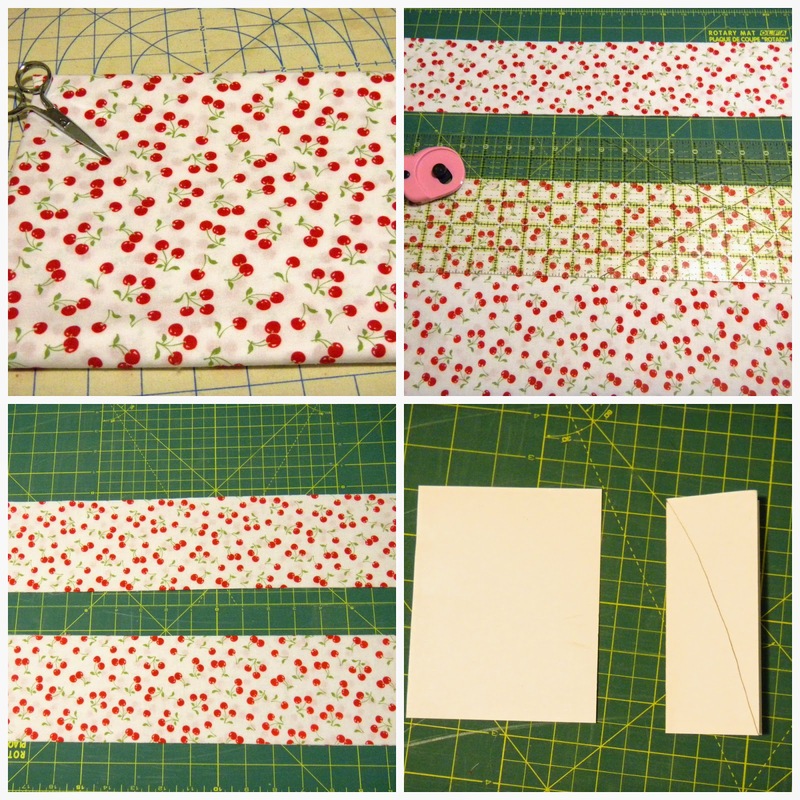 I folded it in half and cut 2 strips 4" by 37". The template for the points at the ends I used a piece of card stock 4"x5" and folded in half the long way. Then I drew a gradual curved line from the middle down to the bottom right side and cut out. 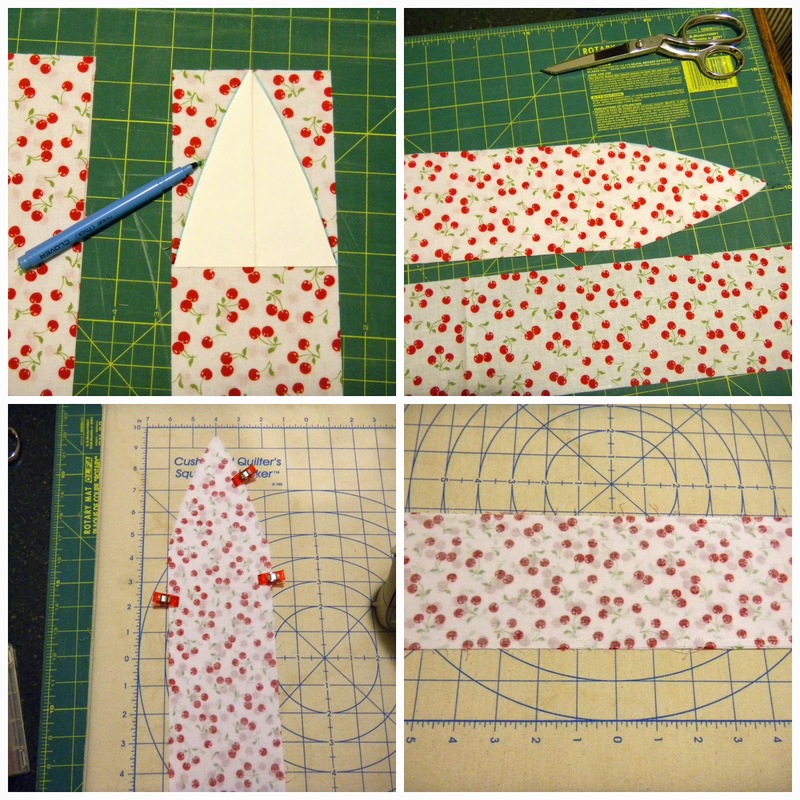 With the fabric still folded in half the long way, I put my template at the ends and traced on the outside edge. Do this to both pieces and cut out. Take both pieces and match right sides together and pin. Using a 1/4" seam allowance start sewing somewhere in the middle and stitch pieces together leaving a 2" opening for turning. With my pinking shears I trimmed along the the point so I don't have a lot of bulk at the point when I turn right side out. 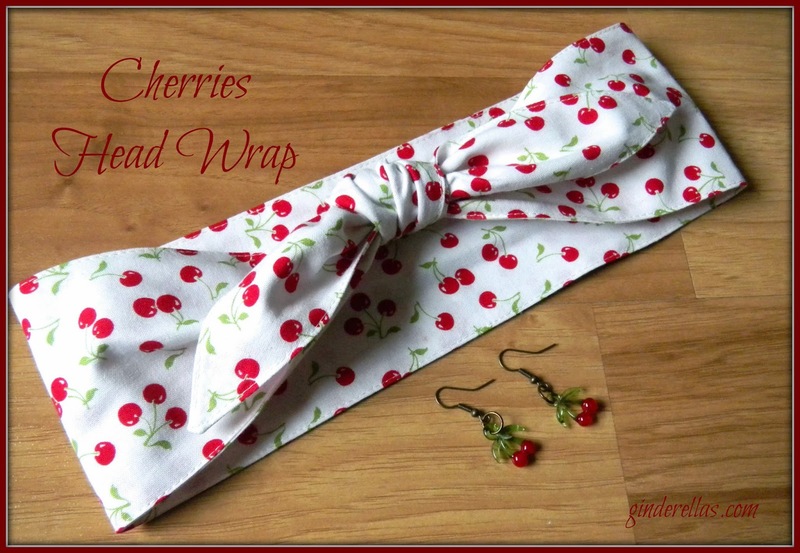 Turn your wrap right side out and press, pay attention to the opening you left and make sure it gets turned in. Topstitch around the whole wrap and it is ready to wear. I had some vintage lamp work cherries so I made some earrings to match.